My girls love art and end up with marks all over their clothing. One of the harder stains to get out was ink until I learned this trick! You can use hairspray to remove ink from clothing. I’ve found that pretty much any hairspray will work. You just spray it onto the mark and use a cloth to rub the stain out. After the stain has been removed, launder the item as usual. I was amazed at how quick and easy it was! 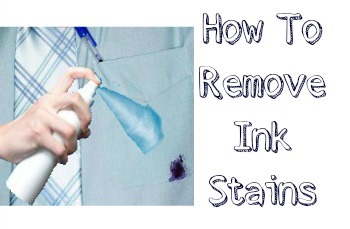 For more exciting stain removal, you can see how to easily remove oil stains here. What is your favorite stain removal trick? See current deals on hairspray.